A sinkhole has caused the closure of a small portion of East Powell Road in Orange Township. 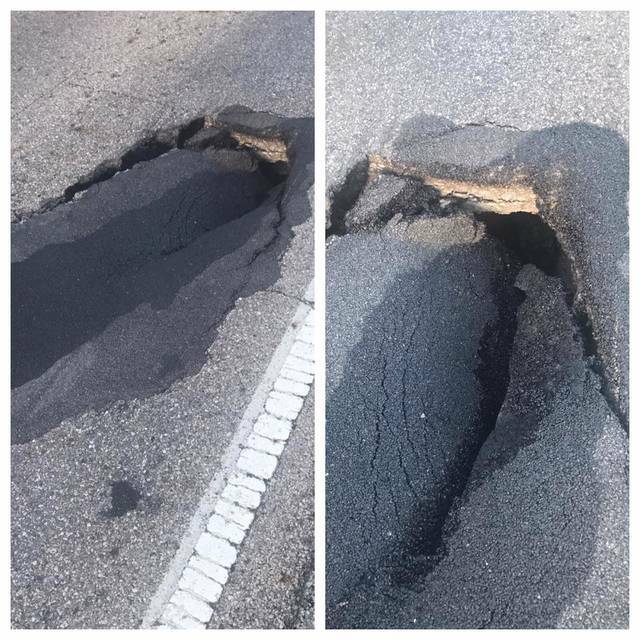 A sinkhole has caused the closure of a small portion of East Powell Road in Orange Township, according to posts on social media by the Delaware County Sheriff’s Office. The sheriff’s office reported that the sinkhole was discovered Sunday evening in the area of 3322 E. Powell Road. It is located west of Bale Kenyon Road and east of Walker Wood Boulevard. According to authorities, the sinkhole is about 5 feet long and 3 feet deep at one end. The sheriff’s office expects the roadway to remain closed overnight and into Monday morning. Local residents who live along that stretch of East Powell Road can still access their homes, but the road is closed at the aforementioned address in both directions until crews can make the necessary repairs to make the roadway safe again. https://www.delgazette.com/wp-content/uploads/sites/40/2017/07/web1_Powell-Road-sinkhole.jpgA sinkhole has caused the closure of a small portion of East Powell Road in Orange Township.